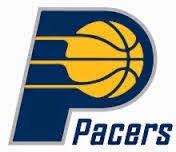 The Indiana Pacers now lead 3-1 in the second round of the semifinals of the Eastern Conference in the NBA. Paul George had a career play-off high of 39 points and added 12 rebounds to lead his team past the Washington Wizards, 95-92. Roy Hibbert scored 17 points and nine rebounds. For the Wizards, John Wall scored 12 points and seven assists.